The CX500 motorcycles from Honda are pretty strange machines, considering the source: for a company whose calling card had become sophisticated range of four-cylinder motorcycles, it seems strange they would introduce a longitudinally-oriented, shaft drive, pushrod motorcycle. In fact, every aspect actually seems like an attempt to one-up Moto Guzzi: the longitudinal v-twin, but with 80º between the cylinders to keep the engine more compact. A slight twist to the heads themselves that required pushrods instead of overhead cams, but allowed the carbs and inlets to keep clear of the riders legs. A transmission spinning counter to crankshaft rotation, to help cancel some to the inherent torque reaction caused by the engine’s north-south orientation. 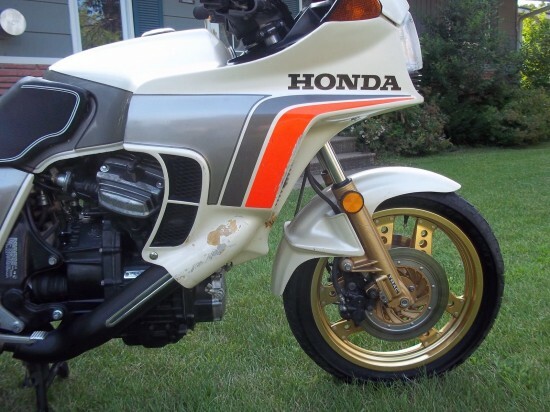 The bike was water-cooled and featured the first tubeless tires on a production motorcycle, mounted to Honda’s Comstar wheels. Unfortunately, while all this made sense, it was pug-ugly and pretty appliance-like. 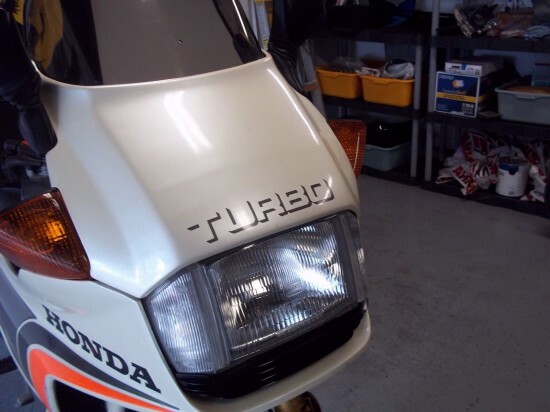 But when other Japanese manufacturers began turbocharging their bikes, Honda turbocharged their first-ever v-twin because it was liquid-cooled and could handle the additional heat and stress generated by forced-induction. 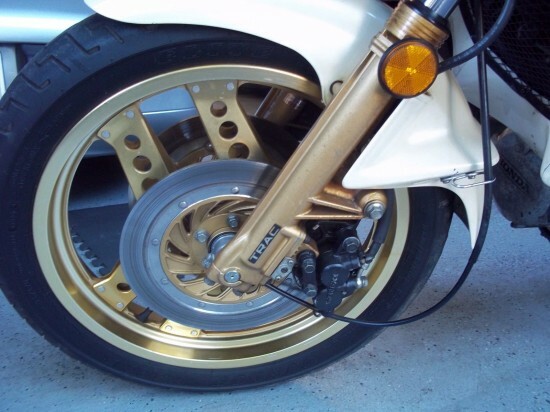 The pushrod twin may not have looked very sophisticated on paper, but it provided a great foundation for the innovations Honda applied, including advanced, computer-controlled fuel injection, a mono-shock rear end, and anti-dive fork, and 19psi of boost. 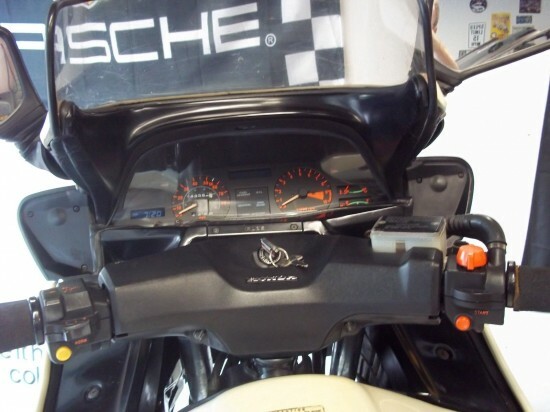 The result was 82hp from 497cc’s and a tested top speed of over 120mph. 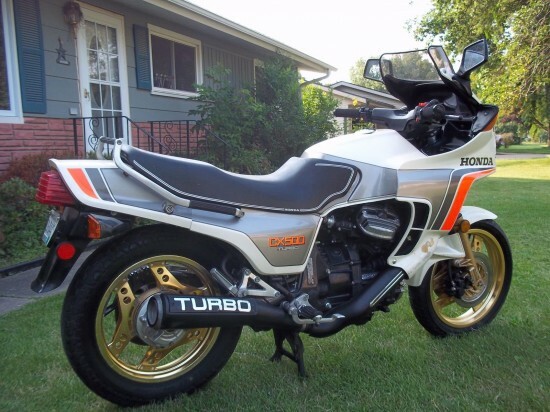 The CX500 Turbo was a real one-year wonder and was superceded by the CX650 that actually displaced 673cc’s… Turbo bikes in general were expensive to produce and provided horsepower gains more easily achieved by simple displacement increases. But while not necessarily the best way to go fast, they do provide exciting power delivery and turbocharged motors are a great deal of fun when the boost kicks in. Bidding is still under $3,000 with just a day left. 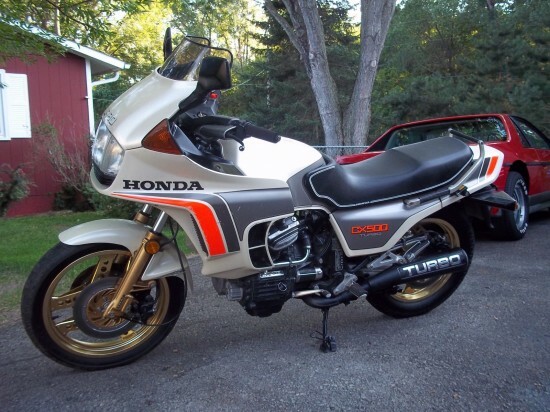 It’s not perfect and does have some wear on the left-side fairing, but this is a real steal for such an interesting and rare motorcycle.